Let's take a look at the top strategic Internet of Things (IoT) technology trends that Gartner, Inc. recently identified as driving digital business innovation from 2018 through 2023. As the IoT matures and becomes more widely deployed, a wide range of social, legal, and ethical issues will grow in importance. These include ownership of data and the deductions made from it; algorithmic bias; privacy; and compliance with regulations such as the General Data Protection Regulation. The shift from centralized and cloud to edge architectures is well under way in the IoT space. However, this is not the end point because the neat set of layers associated with edge architecture will evolve to a more unstructured architecture comprising of a wide range of “things” and services connected in a dynamic mesh. These mesh architectures will enable more flexible, intelligent and responsive IoT systems — although often at the cost of additional complexities. CIOs must prepare for mesh architectures’ impact on IT infrastructure, skills, and sourcing. Surveys invariably show that security is the most significant area of technical concern for organizations deploying IoT systems. This is because organizations often don’t have control over the source and nature of the software and hardware being utilised in IoT initiatives. 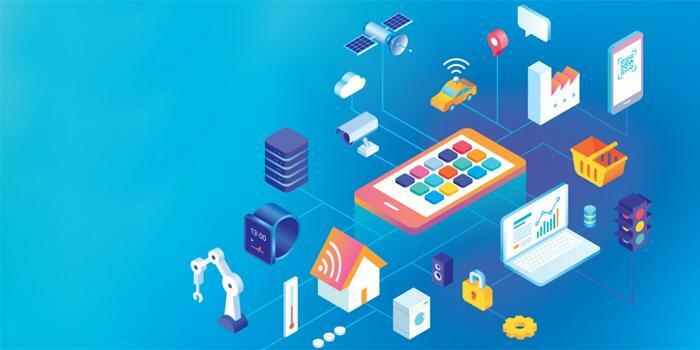 IoT networking involves balancing a set of competing requirements, such as endpoint cost, power consumption, bandwidth, latency, connection density, operating cost, quality of service, and range. No single networking technology optimizes all of these, and new IoT networking technologies will provide CIOs with additional choice and flexibility. In particular, they should explore 5G, the forthcoming generation of low earth orbit satellites, and backscatter networks.